A Cut Above Construction Ltd was set up in 2003 by Daniel Byrne, a qualified carpenter, and has specialised in Attic Conversions ever since. We have never turned down an awkward job, Daniel will relish the challenge! "No such thing as problems, just challenges to over-come!" We are now a small family owned and run business based out of South Dublin and Kildare, servicing ALL areas. Our work is carried out with a strong ethos of honesty, quality and integrity. We treat each job as a matter of personal pride. We realise there are "cowboy contractors" out there, but we are not one of those, and what's more we'll provide trade and insurance certificates to back this up. 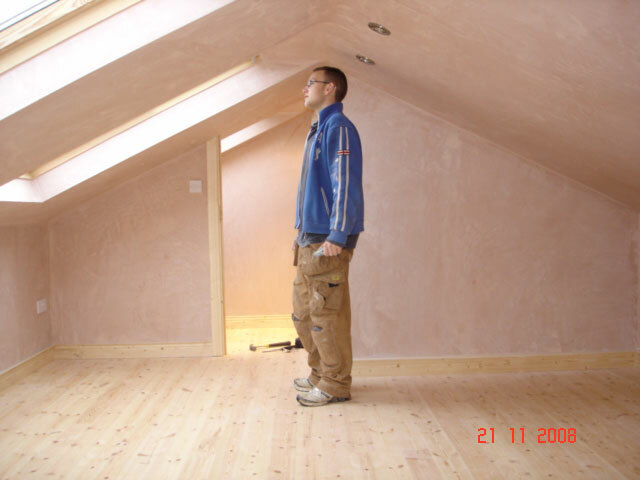 So you can be rest assured that your Attic Conversion or extension is in the hands of trained local professionals.